Google Sharmila Nicollet, and you will be flooded with ace and glamorous golf articles. Well, that’s Google for you. But all thanks to Usha Initiatives. 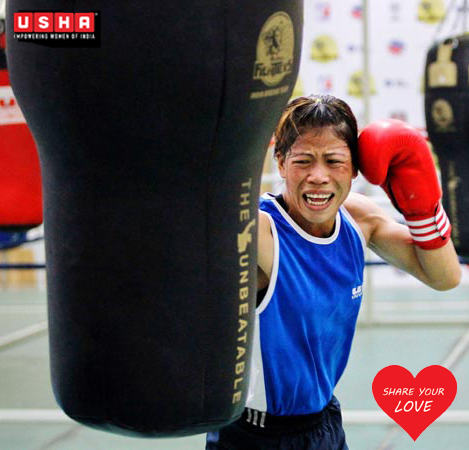 Usha Initiatives women’s empowerment programmes are not just restricted to just remote and rural corners of the country but go on to include urban areas too, through various sports initiatives. 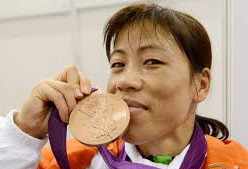 There is a need to uplift women to positions of power and limelight even in urban metros – be they be in the sphere of sports, politics or corporates. Usha Initiatives is aware of this ground reality and realizes that both require two different approaches; If Usha Silai Schools work well for the rural areas, it is Golf that swings the women empowerment movement in the latter. 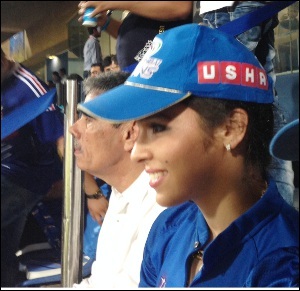 Usha International has been a major supporter of Golf in India since 1987. 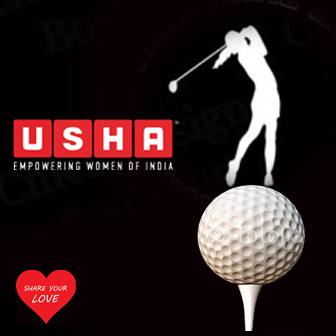 Today Usha is a title sponsor for a majority of the Indian Golf Union (IGU) Amateur Ladies tour. 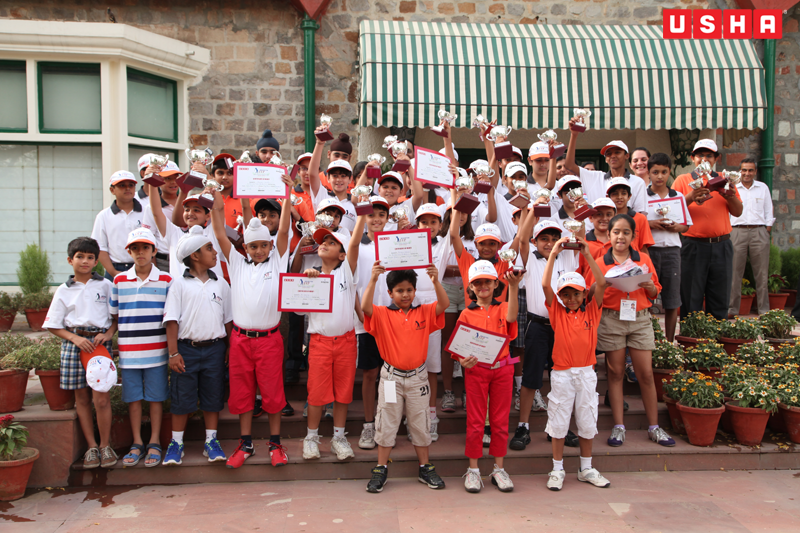 The company recognizes the importance of supporting golf at the junior level and thus has been associated with the Junior Training Programme at the prestigious Delhi Golf Club since 2006. It was in one of these junior camps that the now famous Sharmila Nicollet got her first Golfing lessons. Before moving on to stardom and hobnobbing with the likes of Tiger Woods and the alluring world of star models. The current favourite who is slowly gaining ground hole after hole in Usha Initiatives various Golfing tournaments is Gurbani Singh. Keep a look out for her; we see a great future ahead. 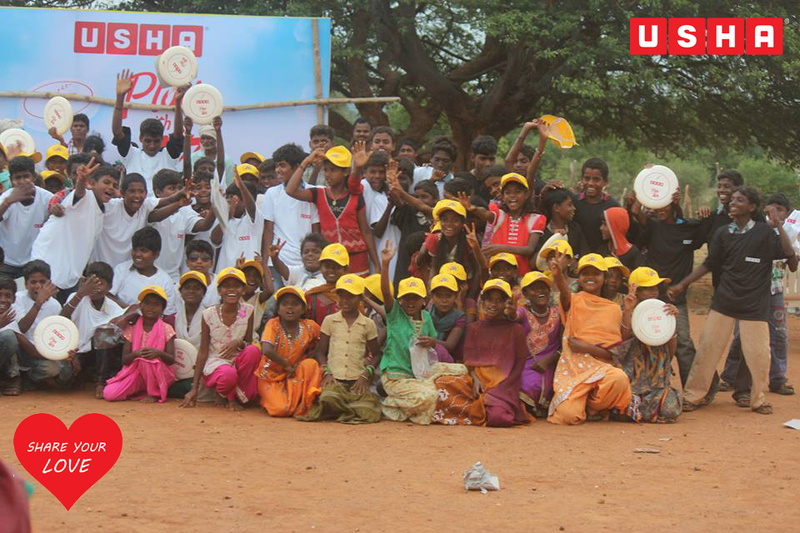 Yes, not all who go through Usha’s Golf Camps become ace Golfers, which doesn’t mean that it is not an all-inclusive empowering programme for women. 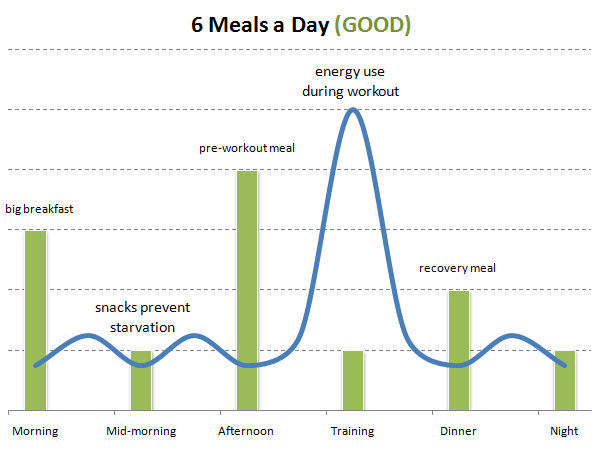 Recent research on corporate architecture indicates that most of the important company decisions at middle to higher levels, take place, either after-hours in exclusive clubs or over a game of Golf. Thus being a woman, if you are aiming to climb the corporate ladder –Golfing is not just a game it is a way to empowerment. Usha Initiatives through its Silai Schools are not just about sewing and tailoring, one of its primary aims through these training programmes is to break this unholy sacrament forged unjustly by a misogynist society. Not to blog our own trumpet, but Usha Initiative has thus far succeeded in its own little ways, helping women to transgress gender roles every now and then. The story of Mrs. Saroj Namdew, a resident of Satlapur village of Raisen district in Madhya Pradesh, is one such. She belongs to an OBC family. 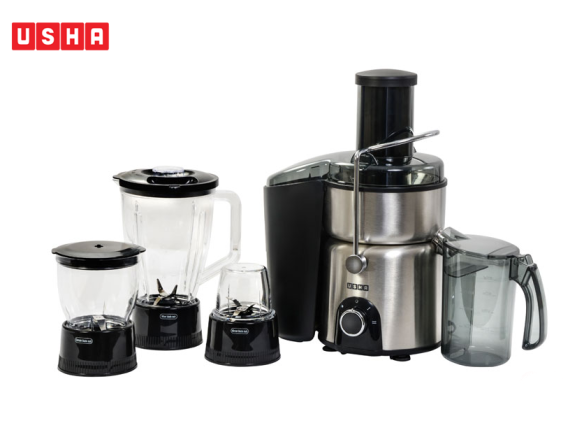 A mother of three – one daughter and two sons. Her household spiraled down towards chaos and poverty when her husband lost his job during one of the company retrenchments. However Saroj did not take to self pity or the village commandments, instead she stepped up to improve her family’s condition by joining a Usha Silai School training programme and later opening one on her own at home. Over the course of time she has trained over 30 women and even started her own tailoring business. 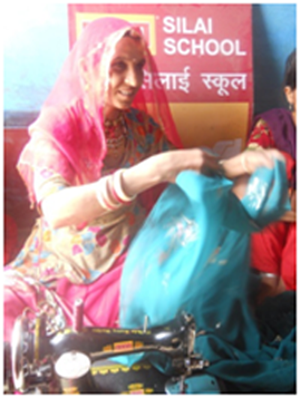 However her greatest achievement lies in motivating her husband to learn sewing and stitching. Initially her husband was reluctant to undertake this task. After much persuasion, he agreed to get trained under her! Today both husband and wife work in the Silai School and their income is about Rs 5000/- a month. Mohini’s story is a similar one. A twenty eight year old, mother of a 4 year old son she hails from Delitalai village in Bikaner district of Rajasthan. 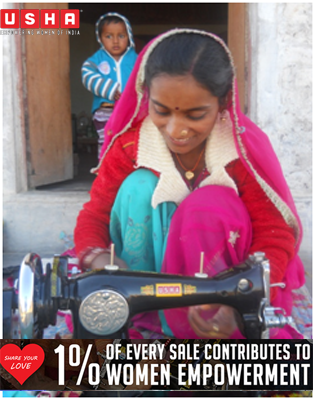 Her husband works as a cleaner in a nearby NGO earning a meager amount – not enough to support a family of three. After attending the Silai School Programme under Usha Initiatives, today Mohini, is not just an Usha Silai School teacher but she is also running an NFE Centre. And o’course is the chief bread earner of the family.